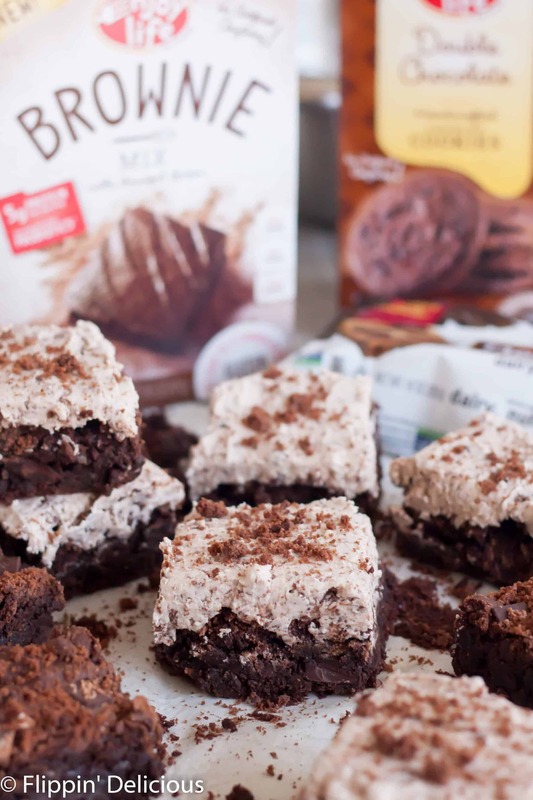 Gluten Free Cookies and Cream Brownies are the ultimate indulgent way to celebrate Celiac Disease Awareness Month. They are Dairy-Free, Egg-Free, Vegan, and Top-8-Free too! 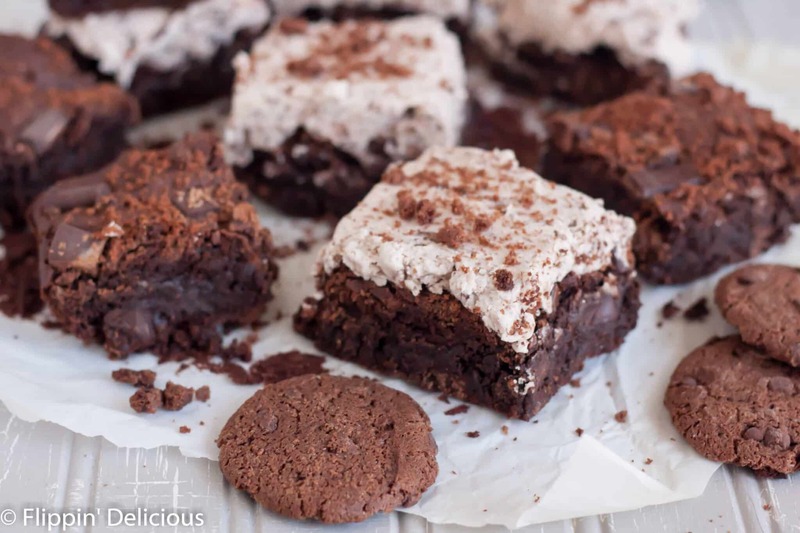 I thought there was no better way to start celiac disease awareness month than to share a recipe for rich and indulgent cookies and cream brownies. 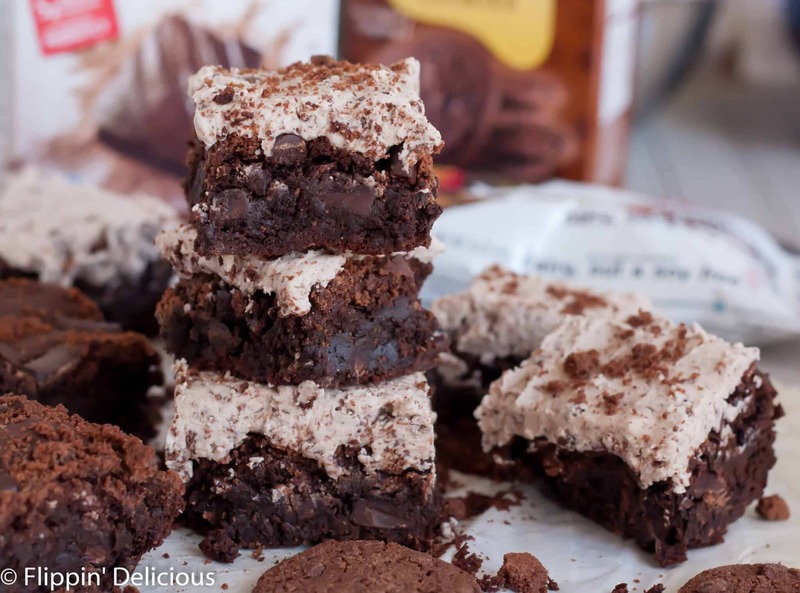 Because these brownies start with Enjoy Life Food‘s brownie mix, they are quick to whip up. I added extra chocolate chunks or crushed cookies to my brownie mix, but you don’t have to if you don’t want to. They were a nice extra touch, but not totally necessary. The cookies and cream frosting came together quickly. It is sweet and creamy, tasting just like cream filling from the famous cream-filled cookies. I wanted to stir some cookies into my cream and felt like I had a stroke of genius when I folded in some crushed Double Chocolate Crunchy Cookies. Each bite was filled with cookies and cream. Whenever I meet someone who is newly diagnosed with Celiac Disease I drown them in names of my favorite gluten-free products (and often send them away with half of my pantry.) Enjoy Life Foods is always one of the first companies I tell people about because their products are so allergy friendly. They are a company I truly trust. I am one of 3 people at work (that I know of) who have celiac or wheat allergies. I work at a regional pizza company, and so everyone eats a lot of pizza and there is gluten everywhere. At our last meeting, I brought an Enjoy Life Foods Brownie Mix to send home with one of my co-workers (and a bag of Plentils to send home with another.) I also ALWAYS have Enjoy Life Foods Chocolate Chip Snack Packs hidden in one of the drawers in my desk for whenever I get a chocolate craving. 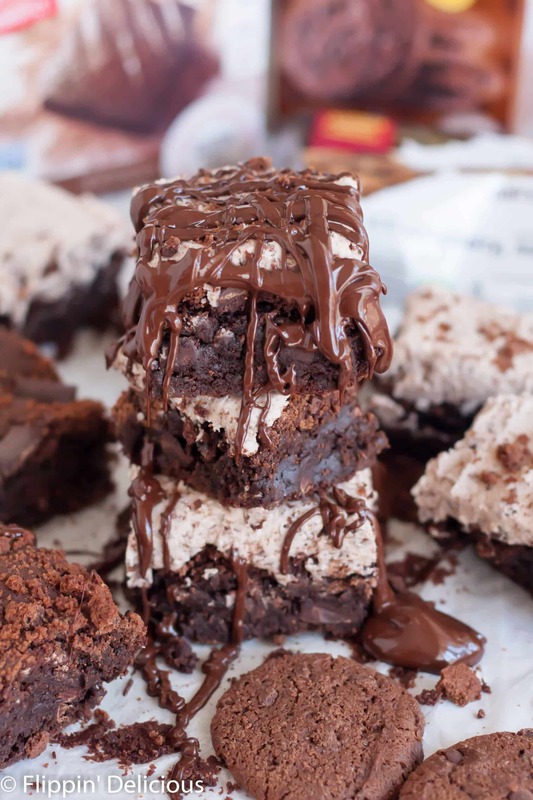 These are definitely sugar coma brownies. I cut them into hefty slices for the pictures but my 2 girls and I barely finished off one! If you really want to indulge, drizzle some melted chocolate chunks on top or spread melted chocolate over the cookies and cream frosting. Sometimes what you need is an indulgent dessert to satisfy your sweet tooth. 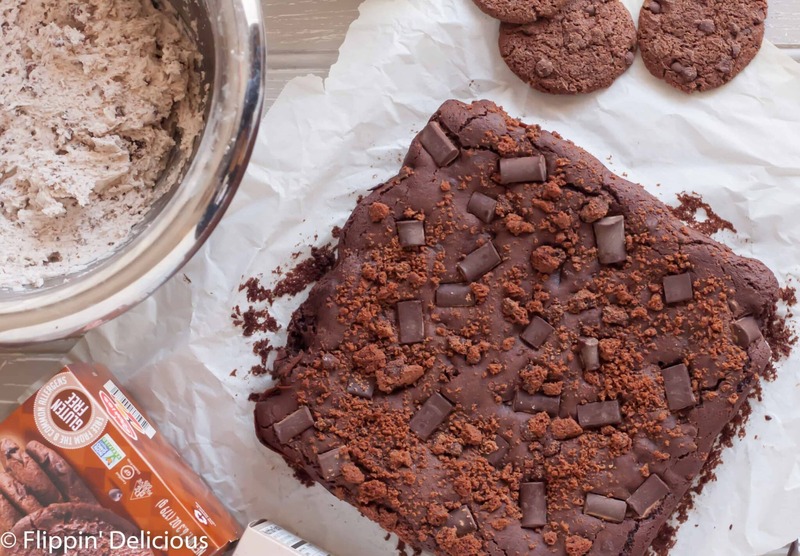 This is the brownie that fits the bill! Have you ever made Campfire Brownies? Next time we pitch our tent I want to try Vegetarian Momma’s recipe that makes brownies right in a campfire using Enjoy Life’s Brownie Mix. What a fun camping treat? Preheat the oven to 350°F. Line an 8x8 baking pan with parchment paper OR lightly grease it and sprinkle with gluten free flour. 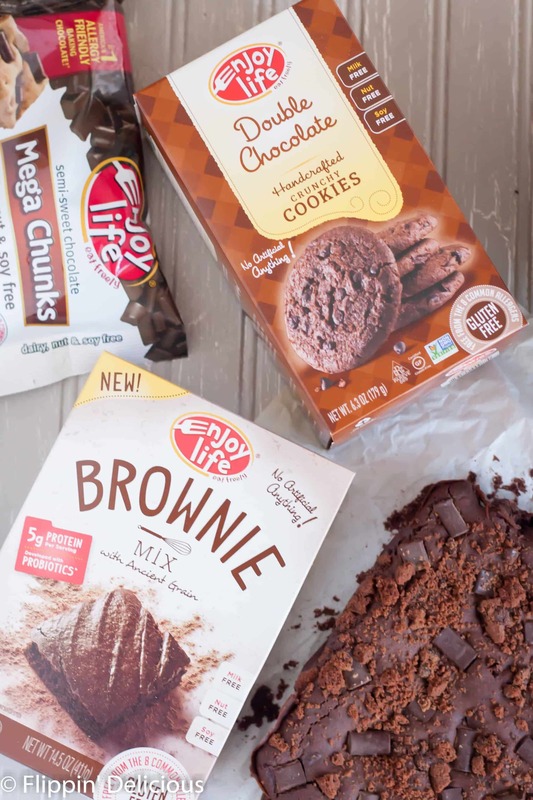 Crush one box of Enjoy Life Foods Double Chocolate Crunchy Cookies. 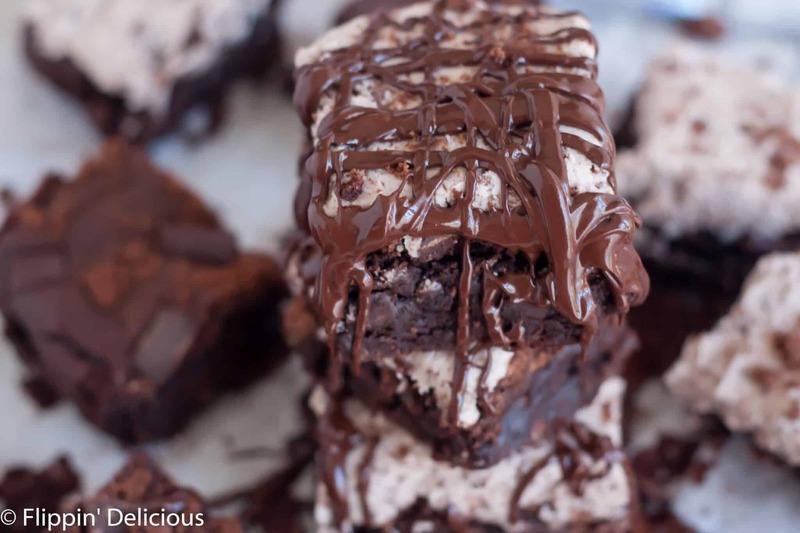 Combine Enjoy Life Foods Brownie Mix with the oil, water, and vanilla. Reserve enough chocolate chunks to sprinkle on the top of the brownies( approx 2-3 Tablespoons) and stir the rest into the batter. 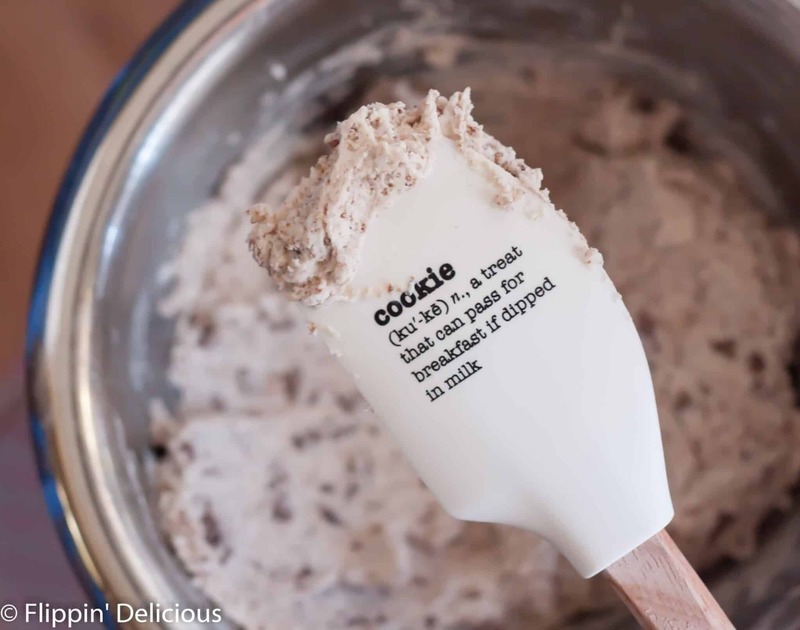 Stir in ½ cup of cookie crumbs. Pour the batter into the prepared pan. Sprinkle with the reserved chocolate chunks and remaining ¼ cup cookie crumbs.Bake for 40-45 minutes, or until a toothpick inserted 2 inches away from the sides of the pan comes out clean. With electric beaters, whip the palm shortening and granulated sugar until light and fluffy. Add the powdered sugar, vanilla, and hot water and beat at low speed until combined. Whip for another 2-3 minutes. Beat in the cookie crumbs. This might be my new favorite recipe from you! That “cream” all made vegan – YES! Oh. My. Goodness. These look so amazingly decadent and rich. I can only imagine how good these taste. Oh my goodness Briana! These look too good to be Top 8 Allergen Free! I can’t wait to try this. Pinned. Thank you, Laura. I hope you and your boys enjoy them.